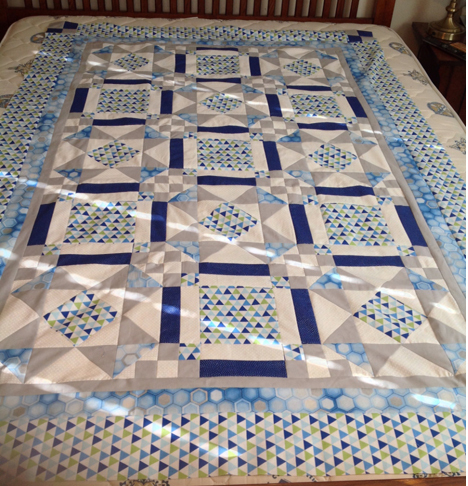 Carol O. sent me this picture of her version of my Crosstown Mystery Quilt. This was an Online Mystery, exclusively for my free E-Zine subscribers last February. I love the fabrics Carol used for her quilt! Speaking of 'mysteries'. Do you like doing them? I'd like to get feedback from you - is this something you would like to do again this year? Leave a comment on this post - or email me. My contact info is here.